The Peel Says No To Violence (PSNTV) project aims to better understand the prevalence of family violence in the region, identify how our community can better support those who experience it, raise awareness of services and support available, and create a movement of people in the wider community to actively support the Peel Says No To Violence message. Funding for this project has been provided by the Department of Social Services under the Building Safer Communities for Women and their Children program. The first phase of our project is now complete. This involved in-depth research into family violence in the Peel region. We conducted interviews and focus groups with a wide range of women who have experienced violence, looked at other relevant research, and surveyed service providers across Peel to understand the extent of their services and the challenges they face. The recent PSNTV Research Forum was a great success with over 30 service providers and interested parties attending the Senior Citizen's centre in Pinjarra on Wednesday 28 June, 2017. Services in the region do not have the capacity to meet existing demand, with particular gaps identified in refuge/accommodation services, children/youth support related to family violence, and in service delivery in regional areas outside Mandurah. There is a role for a wide range of people and organisations to support women and children, with the research highlighting the important role family, friends, non-specialist services, police and volunteer groups play in providing information and assistance. Pat Thomas House has a critical role not just in providing services, but linking women into a wide range of other supports. There is a need for improved family violence literacy, not just awareness. For women themselves, services and community members - there is a need to develop a deeper understanding of the power and control dynamic and how this impacts on family violence. It is important to also understand and acknowledge how women are able to offer resistance to violence and the reasons why they stay, leave and return to relationships. Sharing women’s stories is a powerful way to help the community and individuals understand the complexity of family violence. To build a Peel-wide Alliance it is important to include organisations from all local government areas and the relevant districts of government departments. Attendees were impressed at the quality and depth of the research which tells the story of family violence in the region from both a statistical and human perspective. There is certainly a lot to be learnt from the womens' stories collected during the research, including the varied faces of family violence. If you would like to access the research report of the Peel Says No To Violence project, please fill in your details below and follow the link to the report. Alternatively, you can request a copy of the report by emailing peelsaysno@gmail.com. Thank you for your interest in the PSNTV Research Forum - you can read the report by clicking here. 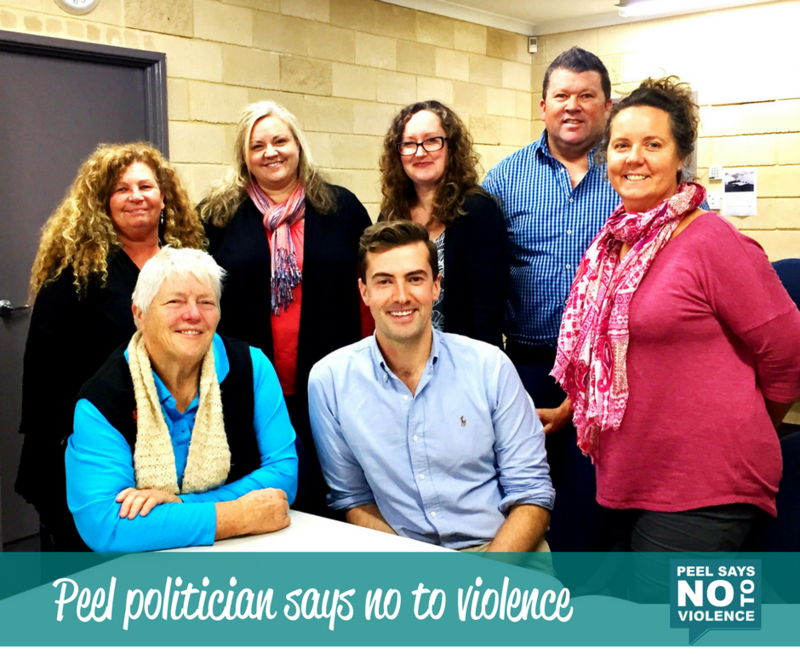 To stay up to date with the project's progress, click here to Like and follow the Peel Says No To Violence Facebook page.